Much loved kiwi troubadour Monty Bevins hits the road this May and June to celebrate the release of his new single Lovers Again. 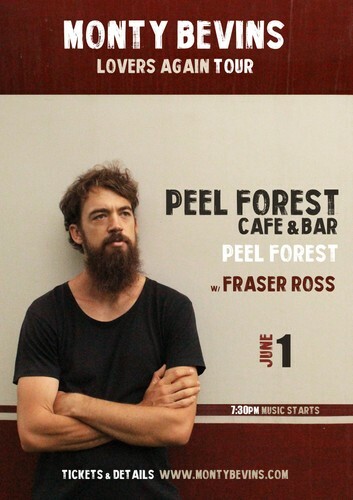 He'll be joined in Peel Forest by eccentric-folk musician Fraser Ross for this show at the Peel Forest Cafe & Bar. Known as a touching, spirited performer, whose soul-folk songs ask the big questions while telling the small stories, Bevins has built a loyal following throughout his homeland. June 01 with Fraser Ross.